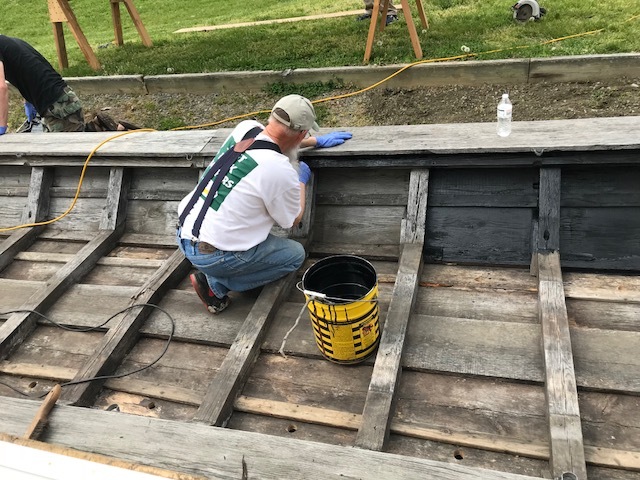 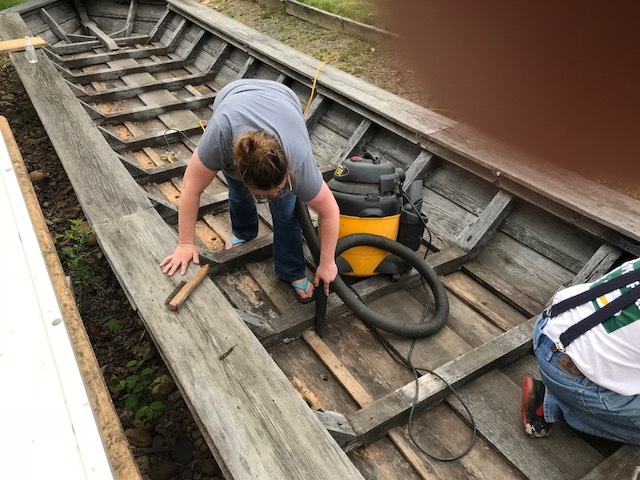 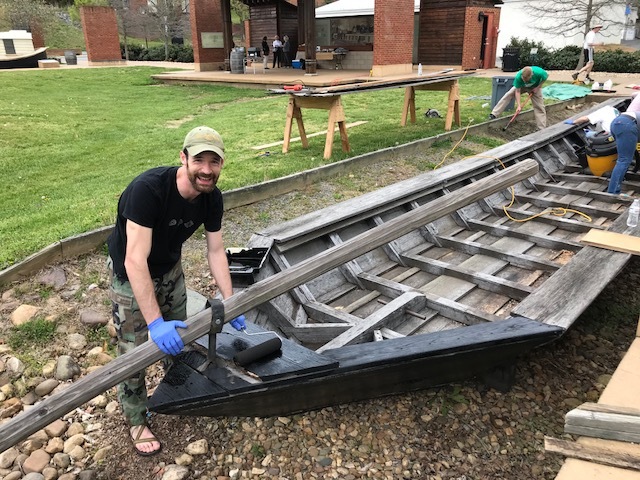 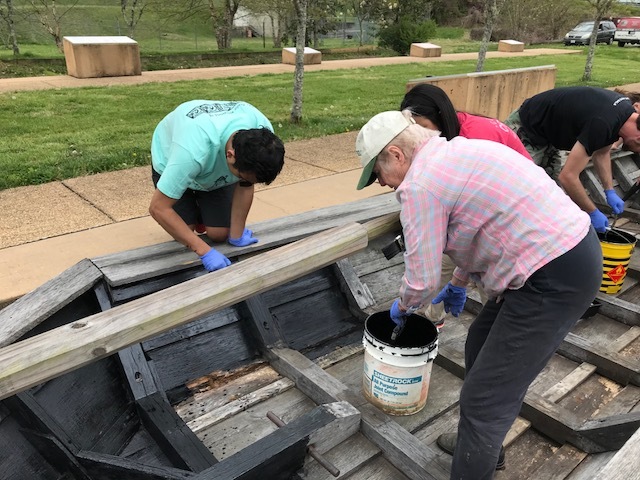 April 22, 2018 was a volunteer work day to restore the Lord Chesterfield. 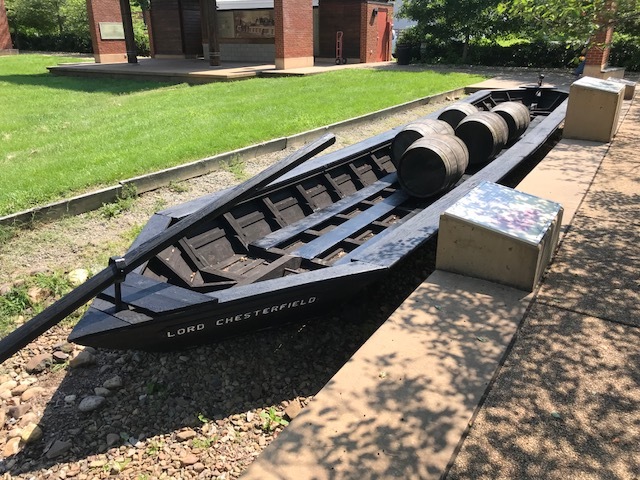 It has been on display for almost five years and the weather is taking its toll. 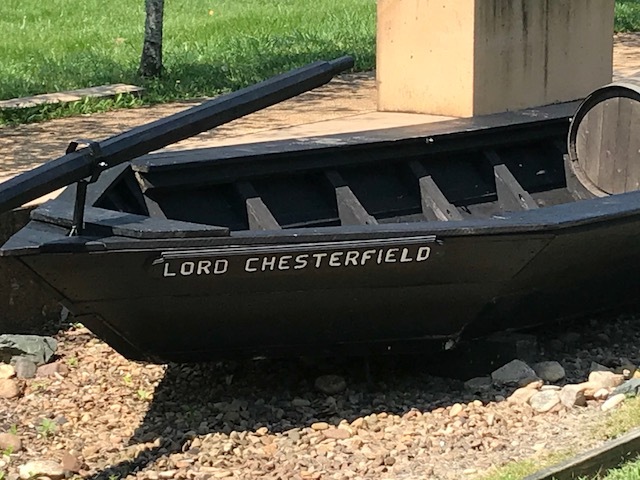 Work involved cleaning out debris and some rotten wood, rolling or brushing on preserative, and stripping then repainting the Lord Chesterfield's four name signs. 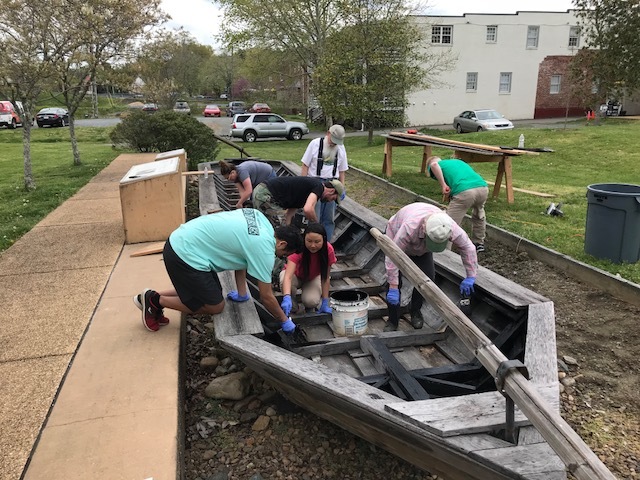 Volunteers included Mayor Nancy Gill, Kit Decker, Frank Sherwood, Elizabeth Knotts, Jim Tocci, Claire Christen-Mellow, Town Administrator Matt Lawless, Callie and John Bowers and very special PVCC student volunteers Yangchen Dema of Bhutan, and Aryan Ghale of Nepal. 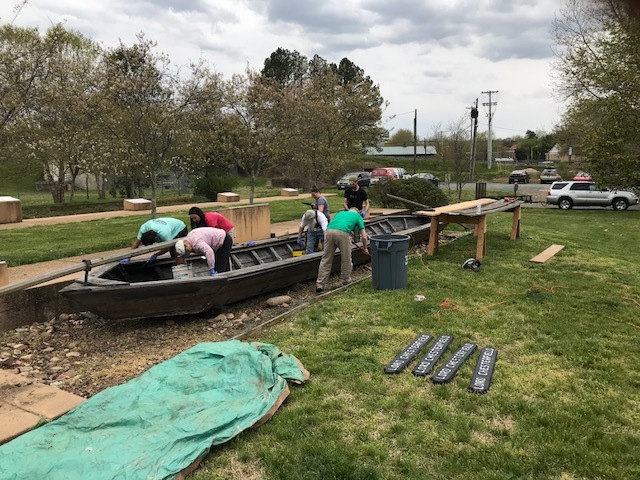 The work day was followed by a cookout for the volunteers on the pavillion. 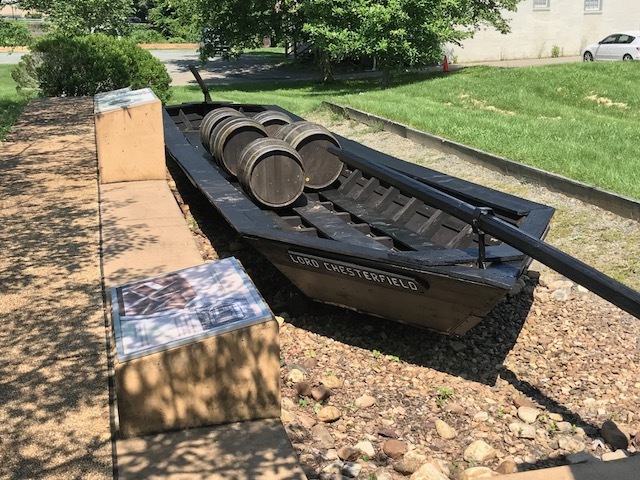 Final restoration complete and five whiskey barrels loaded as cargo.